Allen Coates had one of the most dominating seasons in the track's history when he won an amazing 13 Late Model feature events, including the first three of the season and four straight during the month of August. His season total was second in the division only to Phil Rondeau's 14 in 1989. 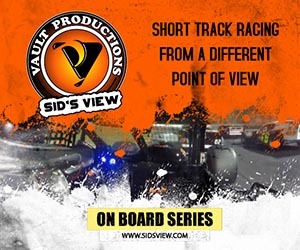 Coates also swept the 3 extra distance events, winning the season opening 50 lapper during the Modified Nationals as well as the 100 lappers for the mid-season Pepsi 300 and the season ending Finale. Despite his numerous trips to victory lane, he only won the points championship by 38 points over Rondeau – a 5-time winner himself. Joey Coates, Allen's brother, added a Late Model win on May 30th, giving the family 14 trophies for the season. Jeff Pearl beat the Gada brothers (Dennis & Mike) in the final point standings to capture the SK Modified track championship, winning 2 features along the way. He was the second consecutive SK track champion to join their father on the Speedbowl Champions list. 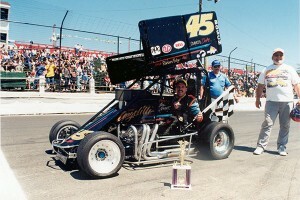 Jeff's dad Jerry Pearl won the 1993 SK title. 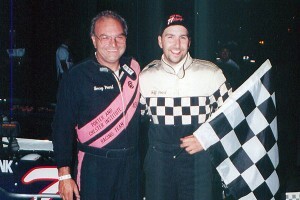 Bert Marvin was awarded the victory for the season opening 200-lapper during the Budweiser Modified Nationals when apparent winner Ted Christopher was disqualified for an illegal transmission. TC did however win the 100-lap portion of the Pepsi 300 in July while teenager Eric Berndt won the season ending 100 lap event during the Finale. Corey Hutchings won his first track championship in the Strictly Stock division by a mere 10 pts over Ed Gertsch Jr. The 2 dominated victory lane with a collective 9 feature wins (4 and 5 respectfully) in a division that produced 14 different winners. Hutchings won the 30 lap event on opening weekend. Joe Mancini Jr and John Beetham won the two 50-lap events. The Mini Stock championship came down to 5 drivers within 16 pts of each other going into the Finale: Jeff Miller and Billy Guyette (who were tied for the point lead), Bruce Thomas, Joe Perry & Jim Allen. Jeff Miller clinched the championship with his 50 lap feature win in the Finale followed up his Rookie of the Year '97 campaign in the Mini Stocks by winning the points title by 16 pts over Thomas, who finished 3rd. It was Miller's second MS championship as car owner (1996 – Dan Darnstaedt). Billy Guyette won the season opening 30 lapper and the mid season 50 lap event. Although Ted Christopher was disqualified from the $5,000 win in the SK Modified 200 during Modified Nationals event, he did win in the NEMA Midgets that weekend. Drew Fornoro and Bobby Seymour won the other two NEMA events. 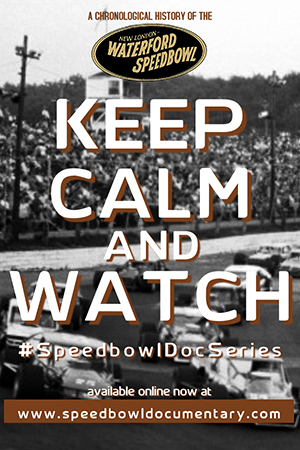 The Legend Car & All Star Race Truck divisions had their weekly series moved from Thursday to Sunday. Renamed Sunday Spectacular, the events would continue to include Enduro cars, ladies races and demolition derbies. 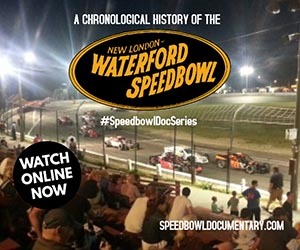 The Legend Cars were part of a regional tour with a 27 race schedule, 14 of which were originally scheduled for the Speedbowl. Danny McNamara was the man to beat at Waterford with 6 wins, while Kevin Debbis remained the top dog in the Trucks with a division-best 5 wins.